Warm Up America! first met Judith when a story about the Seth Boyden Knitters appeared in The New York Times in 2003, and we've had a close association ever since. Seth Boyden was the first grammar school group that we observed first hand and it was the enthusiasm of the students, which brought us back numerous times and ultimately resulted in the production of our first video. Entitled Knitting A Community Together, it captures the dynamics of the Seth Boyden knitters and the interactions with parents and Judith. We invite you to view the video. With Judith's guidance, the Foundation also organized its first children's programs with New York City's Parks & Recreation Department. Following is the Seth Boyden Knitters story. 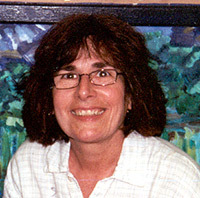 Judith Symonds is a special projects instructor at Seth Boyden Elementary School in Maplewood, NJ. 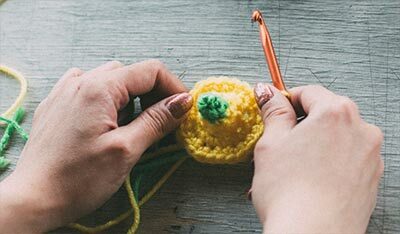 Looking for a way to engage students, she drew on her experience as an artist, designer, and knitter. When she started knitting in school, students approached with interest. They were curious and wanted to learn. She had found her program and lunchtime "hallway" knitting classes were started. 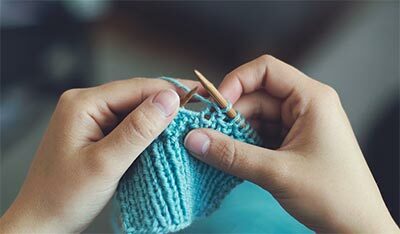 The next year, Judith Symonds wrote a mini-grant to a local educational foundation to fund a program called Knitting Together a Community (KTC). "Community" was defined as the school community and the community at large. Parents came to the school in the evenings twice a month to teach or learn knitting. Some were trained to help students during the day. Additional funds came from individuals, awards, and fundraisers. 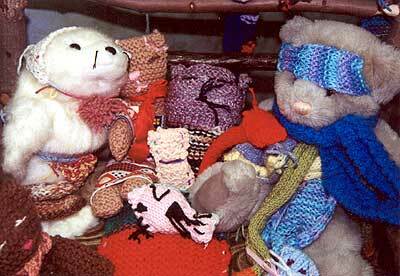 Knitting helped create a stronger sense of a school community. As her lunchtime classes grew, she quickly identified students who caught on to knitting techniques quickly and could teach others. She created a Master Knitter level to the program. And to help her keep up with the kids' knitting activities, she devised a system of color-coding yarns to alert her to a student's level of knitting. Students have to know when they enter this area that they must: Shelve acting out. You want a relaxed, non-threatening atmosphere, not a chaotic one. Symonds and other educators have commented about the calming effect that knitting and crocheting have on children. When calm prevails, a wonderful thing happens. Kids start listening and talking to one another. Out of this exchange grows understanding and respect. Students want to belong to a group. Creating an identifying item for the knitters, like a bag, a button, a backpack tag, unites the students.